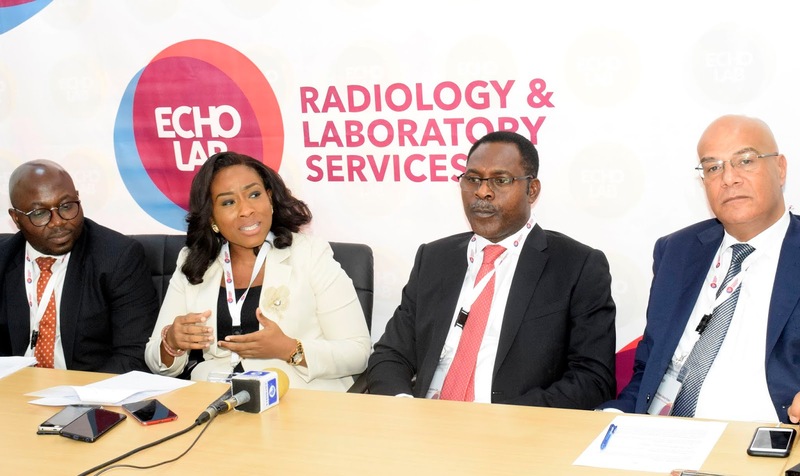 As part of its efforts to bridge the gap of low diagnostic capacities in the country, Echo Lab in partnership with Integrated Diagnostic Holdings (IDH) has launched a state of the art laboratory in Lagos to address advanced and comprehensive laboratory services. Speaking at the launch of Echo Lab formerly Echo Scan in Lagos, the Chairman of the company, Dr Benson Ayodele Cole stated that the partnership has aided in the eradication of challenges of human error in the diagnosis process through the procurement of latest equipment in the field. 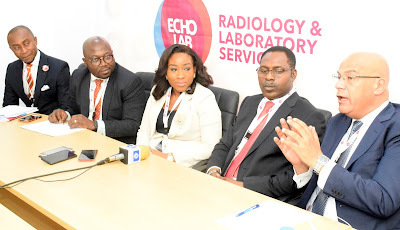 L-R: Dr. Khaled Mostafa Aboul-Enein, Business Development Consultant, Integrated Diagnostic Holdings (IDH); Dr. Benson Ayodele, Chairman; Dr Abimbola Jimoh, Chief Operating Officer, Echo Lab Radiology and Laboratory Services; Babajide Ibironke, Chief Financial Officer; and Pius Ihimekpen, Sales and Marketing Director, during the launch of Echo Lab in Nigeria, in Lagos on Thursday. The IDH Business Development Consultant, Dr Khaled Mostafa Aboul-Enein remarked that the medical diagnostic market was pegged at 50 billion naira in 2015 and has been projected to hit about 300 billion naira by 2025, hence the opportunity for a better healthcare through medical diagnosis is enormous. According to him consolidating the market was part of key factors identified that could drive the growth of the sector adding that most public hospitals offer only basic low-cost test which has caused a fragmented market for private sector diagnostic centres because most private hospitals tend to outsource advanced testing through diverse centres. This he said raises the question of quality and global best practice delivery in the field. He, however, was optimistic that with IDH's experience models that have worked in other countries of their operations like Egypt will work for Nigeria. 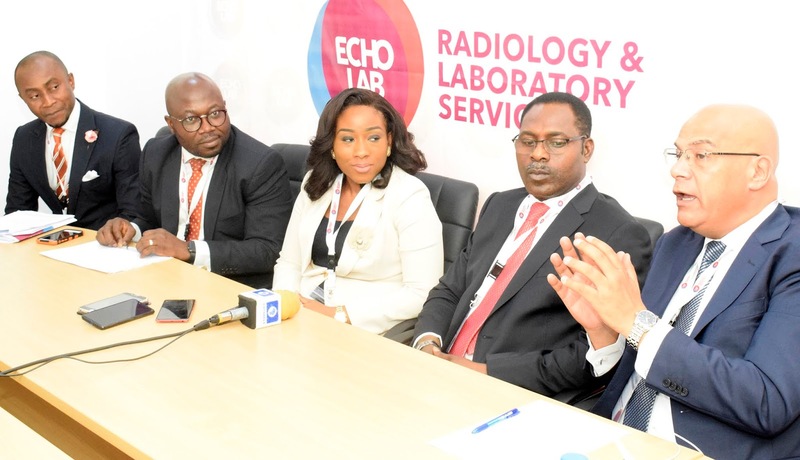 "With an investment of 25million dollars in the next three years, we plan to extend the expansion Nationwide with footprints of quality standards, we hope we might be able to keep more Nigerian doctors at home."